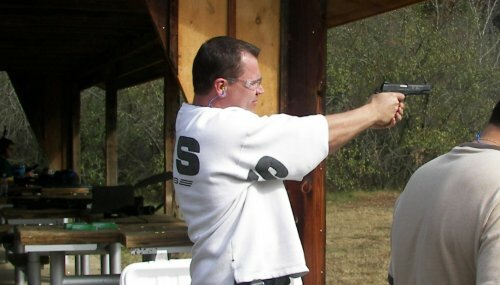 The Group has become a standard across the U.S. for other groups that have started, even in firearms hating states like Illinois. 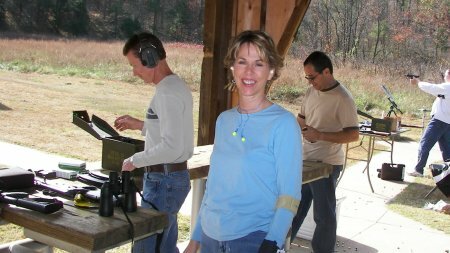 The Right On Target Group will stand for a long time as a reminder that people can shoot guns, and do it productively and safely. And it will be a reminder of the benefit to both the group members and to the organization it is associated with. At the range with our church small group, Right On Target was a great way to spend a Saturday morning. 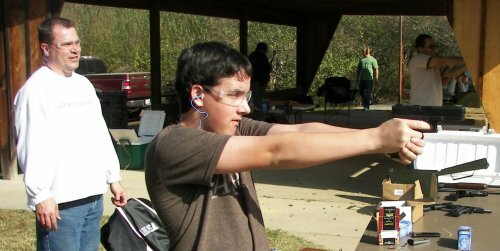 And while I've got a page for the group, this is a report of a day at the range with the group. 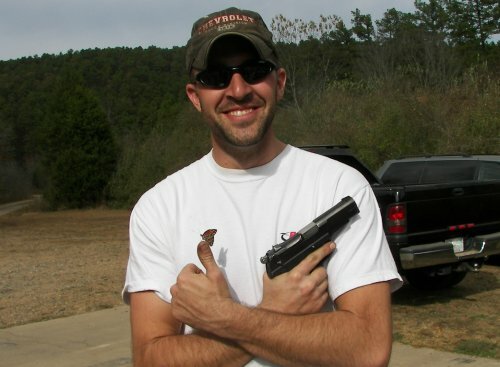 This is a good example of great Arkansas weather, fine fellowship with friends and LOTS of guns. 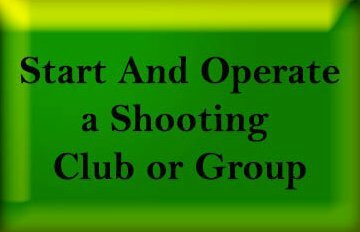 One of the challenges of running a shooting group that is family friendly is to convince people that's what it is; truly a great activity for men, women and kids. So, to that end, I have included a photo below of our "Kinder, Gentler Range Officer", Matt. And yes, remarkably that is a butterfly on his thumb that just lit there and stayed. Funny how people in a gun group react. As soon as I saw that thing on his thumb I said urgently "get a gun" so I could get a picture. Go figure. The next thing I have to do to convince people that the group is family friendly. What that requires is getting pictures of women and kids since shooting is generally connected to a "guy thing". That's not the case at all. 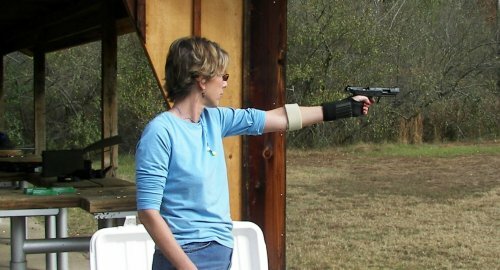 Below is Pam who started shooting with us a few monthsbefore this writing and has become a .45 ACP fanatic. If it doesn't make a big "boom" she doesn't want to shoot it. She spent most of her time with a Springfield XD .45 compact. She like almost everybody else had some quality time with my new Walther P22. That has turned out to be a pretty remarkable gun and a favorite with the group on this day at the range. But sometimes she just can't resist a good photo opportunity. This trip Stan (who is kinda related to me by marriage-my wife's brother in law's brother....) brought his 16 year old son, Jake. They were probably the most fun to watch because this was new to them and they loved it! 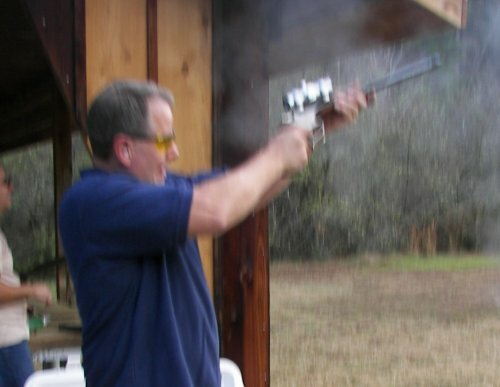 Stan shooting his favorite gun of the bunch - my Taurus 1911 .45 ACP. And here's his son Jake shooting the GLOCK 22 .40 cal with dad looking on. Jake was brand new to all this but picked it up like he had been doing it forever. 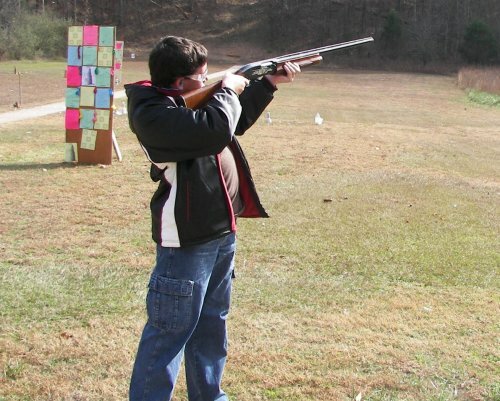 There's hardly anything more fun than getting a kid into the shooting sports. Sorry about the blurred image but I had to put this in. This is Raoul's gun, A Thompson Center pistol with a rifle barrel. He had several from .44 mag up to numbers that I can't remember that could kill a grizzly bear. One of them we had to sit down to shoot. The recoil killed his scope on the gun. The one I'm shooting below is some heavy load. You can see the effects of the recoil. What a great group of friends! Beside me is Frank. In the background are Pam, Jacquilyn, David, Marty and Raoul. Marty drives his Mercedes through the woods and across the low water bridge to get to the range. Great people who are always ready to share their guns with other shooters. This is nothing unusual. There is nothing like a group of Christians doing just about anything together. 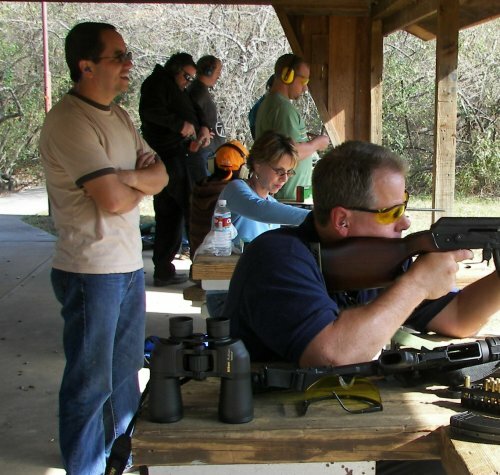 Everybody on this day at the range had a great time. There was also a good deal of sporting clay shooting going on during all this too. 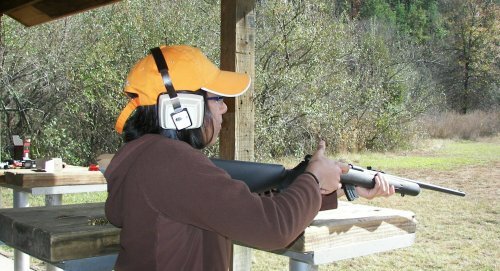 We shot clays with 12 gauge, 20 gauge, a 12 gauge H&K breach shotgun, and even a .410 youth gun and a .410 Thompson Pistol. 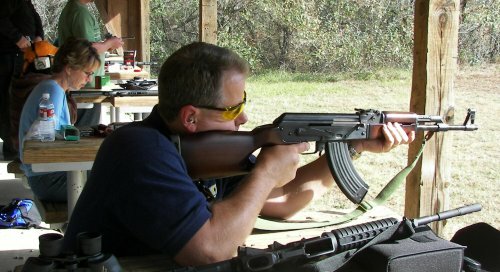 There is always a ton of .22 ammo gone through because it is always a go-to ammo that never ceases to be fun to shoot. We started out at our church parking lot at 8 a.m. We drove 45 minutes to Waldron, Arkansas to McDonalds where we ate breakfast. We left there and went to the range where we shot for about 3 hours. 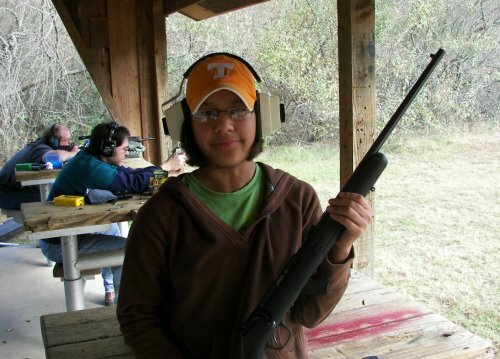 The whole trip is a great experience for everybody, in both fellowship and shooting. Try it. You'll love it.